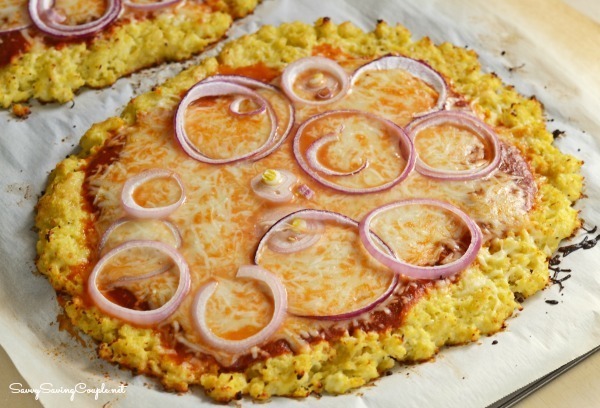 Are you looking for a keto diet friendly, low-carb alternative to traditional pizza crust? If so, you can try one of two options I have for you! 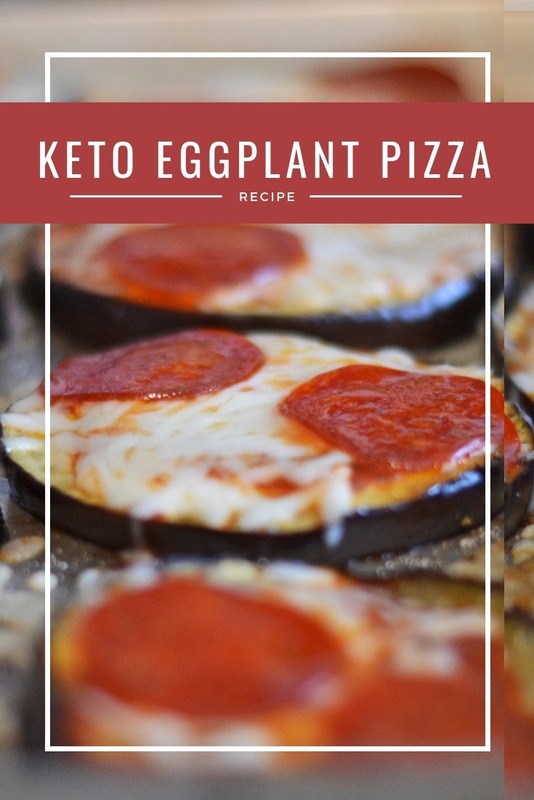 We recently made a cauliflower crust pizza, but if you are not into cauliflower, you may want to checkout our Keto Friendly Eggplant Pepperoni Pizzas recipe! 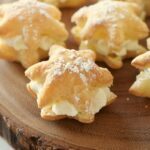 Both are very delicious and are gluten-free and low-carb crust options. Eggplant is one of those funny vegetables (fruit actually) that many people have no idea what to do with. I enjoy eggplant breaded (you can make it keto-friendly with pork rinds), sauteed, and stir fried. 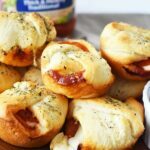 It also makes an excellent pizza crust and holds cheese and meat-based toppings well. 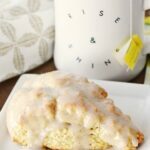 While little picky kids may not enjoy this recipe I know most adults looking to eat less breads will. Use a spatula to remove each piece; serve with a nice garden salad. Eggplant is pretty lackluster on its own, its flavor really comes alive when the right spices, cheese, and tomato sauce are added. Pre-baking the eggplant with olive oil and Italian seasoning really help to enhance the texture and flavor of this vegetable. 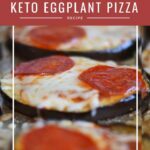 I used a simple mozzarella cheese for my Eggplant Pepperoni Pizzas, but you can use Parmesan too for a more bold flavor. I paired my Eggplant Pepperoni Pizzas with a delicious salad topped with peppers, purple onion, and cucumber. 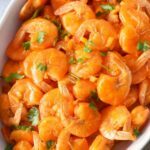 You can also pair this with some stir-fried green beans, or an avocado salad. You may also want to keep in mind that these pizzas will require a fork and knife as they do not crisp up like regular pizza. 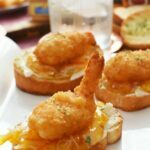 Looking for Keto Croutons? 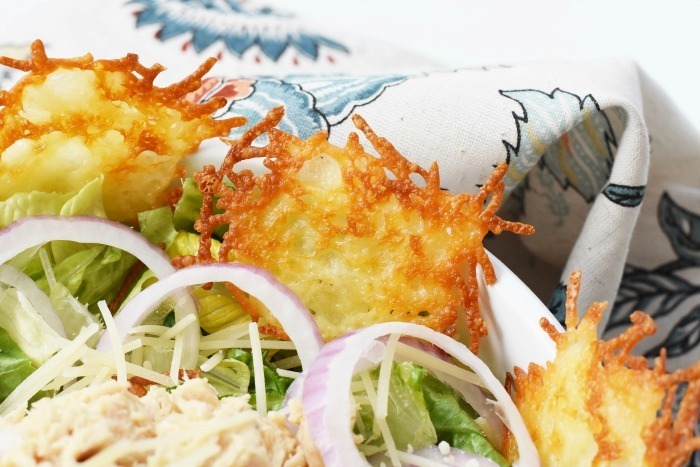 Check out these Parmesan Crisps– perfect for a companion salad to these Eggplant Pizzas!